Dropped into Queen’s Park today and stole 4 frames of honey and replaced them with four frames of foundation. 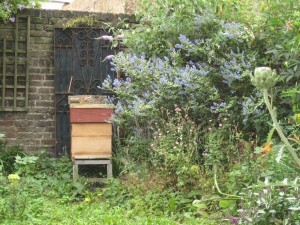 This leaves the hive with a brood and two supers. The supers have 11 frames in each with 5 foundations in each. This entry was posted in All blogs, honey and tagged honey, local honey, Queen's Park on August 2, 2008 by Brian.